Elena Kritter - actor. director. trainer. Hi! I'm Elena, an eclectic adventurer with Virginia farm roots. 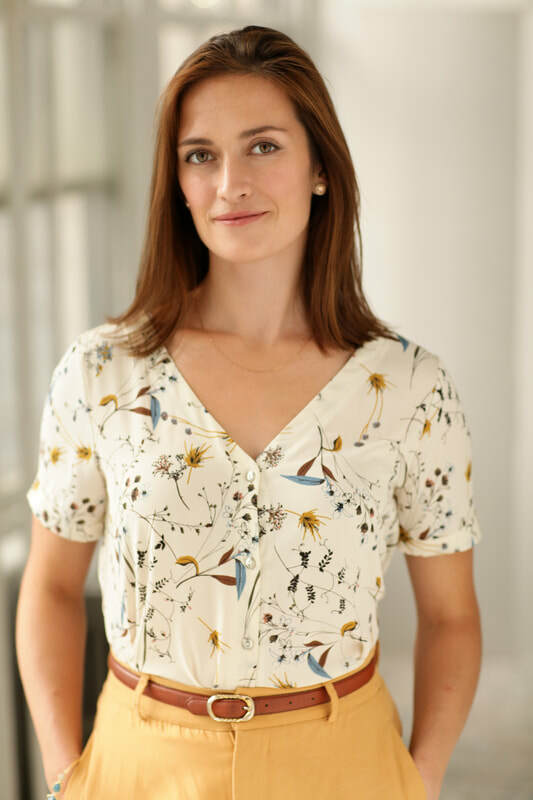 Elena is an NYC-based actor, director, and producer, and is the founder and owner of Ground Rush Productions, a film and theatre production company that produces female-driven stories almost lost to history, and is the Executive Director of Trinacria Theatre Company. 3/9 - Elena worked on the short film, Abrasion, this past weekend - and had the pleasure of working with an intimacy director for the first time! An amazing and professional experience! 10/14 - Elena had a blast directing "Suction", a cop drama inspired by a true story, produced by Brownstone Films. A fantastic cast, and a wonderful new partnership with Checker Liar Pictures! 9/24 - Elena volunteered with the American Theatre Wing for their Annual Gala as they celebrated the incredible career of Andrew Lloyd Webber. What a joyful night! ​8/16 - Elena is back in the states, and still riding on the high from the 1st Annual Trinacria Arts Festival. 8/1 - Elena's new acting reel is up! Thank you to videographer Eloise Sherrid for her impeccable work! 7/23 -Elena is off to Sicily as a producer to work with Trinacria Theatre Company! 7/2 - Elena had a shoot with high fashion photographer, Bryan Mardi.